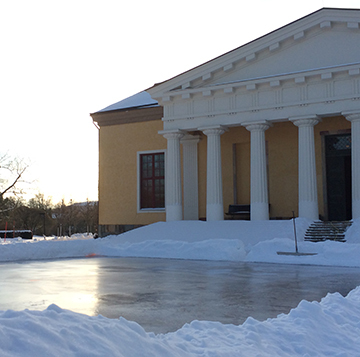 We invite you to ice-skate in a spectacular setting in front of the classical facade of the Orangery in the Botanical Garden. Here, skaters of all ages can practice basic skills as well a pirouettes. Please note that we can only offer ice if it is cold enough outside. To enter, use the gates at Norbyvägen and Thunbergsvägen 6 as the gates towards the castle are locked during winter.